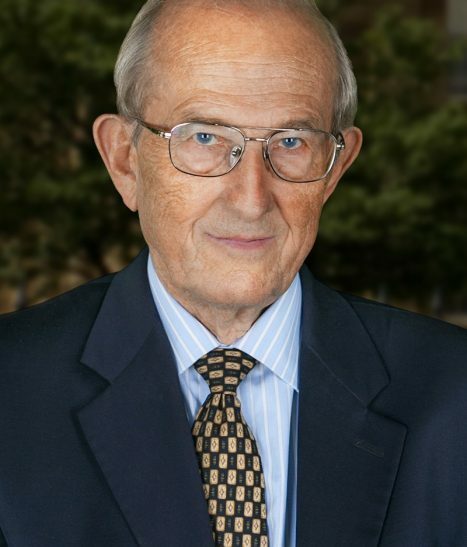 Herman G. Bodewes | Giffin, Winning, Cohen and Bodewes, P.C. Herman Bodewes brings over 50 years of experience as a recognized leader in the areas of general business law, governmental law/lobbying, regulatory affairs, and complex estate planning. He has provided quality legal services to businesses throughout Central Illinois for his entire career. He is particularly known for his ability to aid a business from inception, through the challenges of an on-going entity and finally to the development of comprehensive succession and estate plans so that the business will survive the passing of key individuals. Trade associations look to Herman to provide guidance for their members on regulatory issues. He has represented major trade associations and other businesses before legislative hearing on a wide range of legislative initiatives. He has advised businesses in the areas of banking, insurance, healthcare and the alcoholic beverage industry. He has drafted numerous laws now in effect in Illinois. In conjunction with the banking industry, Herman drafted the Illinois Savings Bank Act of 1990. With his extensive knowledge of the alcoholic beverage industry, he has drafted Illinois legislation regarding business franchise protection. Herman was nominated for the Leading Lawyers Network by his peers for his excellence in the areas of Associations & Non-Profit Law, as well as Governmental, Municipal, Lobbying & Administrative Law. In addition, Herman was identified by his peers as a “Super Lawyer” in Illinois for 2005 and 2006 (ranked in the top 5% of respected lawyers in the state; published by Super Lawyer Magazine and Chicago Magazine). Herman has been a featured speaker on numerous occasions, presenting on such topics as ethics, regulatory issues and healthcare issues for the elderly.